Billy “The Big Yin" Connolly was born in Glasgow in 1942. He started off as a folk sing and played banjo. His first band was an old time country music group called The Skillet Lickers and was formed in the 1960s. Later he joined a novelty musical group called The Acme Brush Company. Connolly then co-founded the Humblebums with Tam Harvey in 1965 and played in the pubs and clubs around the city, most notably the Old Scotia Bar. The name for the band came from a Connolly quip, “he (Connolly) was humble and Tam Harvey was a bum.” In truth Tam Harvey was an accomplished plectrum guitarist and played mandolin. Billy sang, played banjo and guitar. He loved to entertain his audiences with humorous introductions to the songs. For a brief period Shetland fiddler, Aly Bain joined the Humblebums as "unofficial member”. The Humblebums built up a loyal following in Glasgow and signed to the Transatlantic label. Their first album was a mixture of traditional folk songs and Billy Connolly originals, entitled First Collection of Merry Melodies released in 1969. Ronnie Rae (bass) was hired as a session musician to flesh out their sound. The album sold well in Glasgow. In the same year after a concert in Paisley they met Gerry Rafferty a local musician and song writer and when Connolly heard him sing at an after gig party he asked Gerry to join the Humblebums. 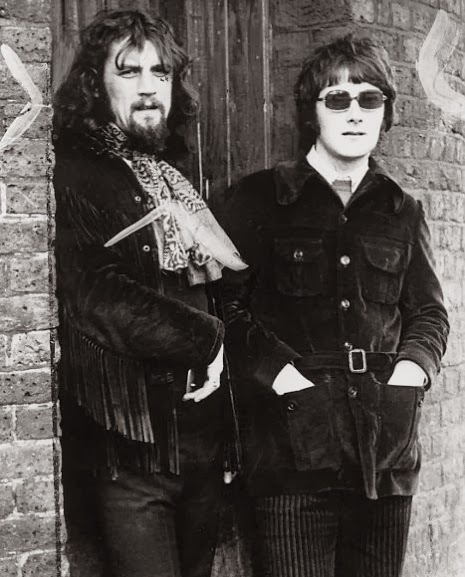 The group performed as a trio for a short time but inevitably the change in the band’s direction with the addition of Rafferty led to internal tensions and Tam Harvey left in 1970 and formed High Speed Grass with David Craig. Rafferty and Connolly were meantime working on a new album called The New Humblebums. This was released in late 1969 and featured brass and woodwind arrangements. The Humblebums recorded a second album in 1970 called Open Up the Door*. Rafferty’s plaintive vocals and melodies and Connolly’s upbeat tunes and fine guitar playing were complimented by session musicians which unfortunately meant the duo found it difficult to capture the feel of the record on stage. Shoeshine boy was the most commercial of their singles and sold well in Scotland but failed to attract much interest in the rest of the UK. The duo was working a punishing schedule and although records were selling reasonably well, and their gigs growing in prominence, Gerry was developing his music style whilst Connolly was less motivated and preferred his story telling on stage. Off stage Billy was drinking and became unwell. Now ill at ease with each other's company they eventually broke up in 1971. In debt Billy Connolly return to Scotland and embarked on a solo career which led him eventually to become an internationally successful comedian, actor and raconteur. Rafferty meantime recorded a low impact solo album, Can I Have My Money Back? Soon after he formed Stealers Wheel with Joe Egan and they recorded "Stuckin the Middle with you" before eventually emerging as a major solo artist with "Baker Street". *The album cover was painted by John "Patrick" Byrne, marking the beginning of a long working relationship between Byrne the painter and Rafferty.